Veteran point guard Jeremy Lin came off the bench to score 11 of his 15 points during a third-quarter run that sparked the Atlanta Hawks to a 106-82 win over the visiting Miami Heat on Sunday. Atlanta built a 38-37 first-half lead, despite shooting just 31.1 percent from the field. 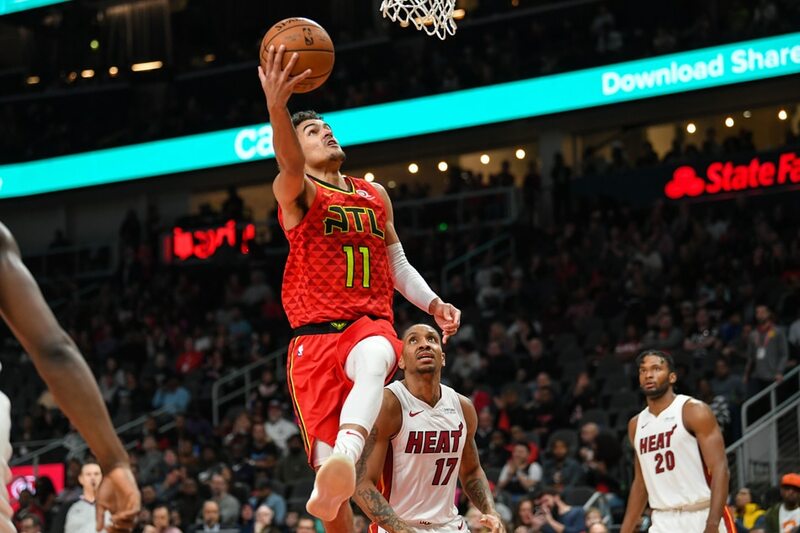 But with Lin leading the way, the Hawks shot 53 percent in the third quarter and outscored the Heat 41-21 in the frame to take a commanding lead, which surged as high as 30 points in the final quarter. Lin finished 7 for 9 from the field and handed out five assists in 17 minutes. He picked up one steal, which was the 500th of his career. Lin, who averages 10.5 points, has scored 27 in the last two games. The win broke a three-game losing streak for Atlanta and snapped Miami's two-game winning streak. Three of Atlanta's 12 wins this season have come against Miami. DeAndre' Bembry, who started his third game, finished with 17 points -- 16 of them in the second half, when he shot 7 for 7 from the floor. Bembry finished two points shy of his career high. John Collins tallied 13 points and 13 rebounds -- nine in the first half -- to secure his 11th double-double over the last 14 games. Rookie Trae Young, Atlanta's starting point guard, scored 19 points. Miami shot just 32.6 percent in the first half and didn't get much better, finishing at 35.6 for the game. The Heat were horrendous on 3-pointers, making just 5 of 34 (14.7 percent). Derrick Jones Jr. came off the bench to lead Miami with 14 points, and Justise Winslow added 13 points, five rebounds and three assists. Bam Adebayo had 12 points and six rebounds. Dwyane Wade, playing his final game in Atlanta, scored 11 points with four rebounds and three assists. Wade and Atlanta's Young exchanged jerseys on the court when the game was finished. Wade stayed on the court for several minutes to sign autographs on his way to the locker room. Both teams return to action on Tuesday. Atlanta plays at Toronto, while Miami begins a three-game homestand against Denver.